Most people would think of the Kennedy-Nixon televised debates in 1960 or maybe even the series of debates between Lincoln and Douglas or maybe the debate I remember among my Yonkers friends over which band was cooler — the Beatles or the Rascals. But the great debate I refer to is taking place in an online forum hosted by an online publication called the Yonkers Tribune, which posted my “City of Gracious Living” essay and stirred up lots of back-and-forth about the demise of the city’s old downtown and about Yonkers politics and politicians. I should note that the essay itself, which I posted in an earlier blog entry, is really a personal, sort of stream-of-consciousness trek (sort of like young Bob Dylan’s “smoke rings of my mind”) through my memories of growing up in the city, my impressions of the city past and present, my knowledge of the city’s colorful history, and the true story of my mother’s uncle, Thomas Crooks, a young man who “fell” into a vat of acid while working at the old Alexander Smith carpet factory in the 1920s — Thomas, according to the city’s late, great daily newspaper the Yonkers Herald Statesman, had a premonition of his own death just before he died. Read the essay again with that in mind — the parts about young Thomas Crooks are just as true as the fact that Son of Sam and Gene Krupa and Linda Lovelace all lived in Yonkers. 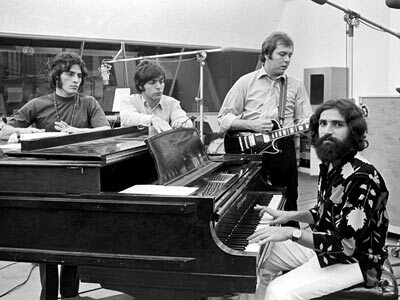 The Rascals, greatest band ever produced by the New York-New Jersey suburbs.